Canadian customers may purchase accessories and have them shipped directly to them, without using an exporter. The order must only contain minor components and accessories of the pistol. It cannot contain major components such as; barrels, slides, frames, magazines, flash hiders, or night sights. These major components must go through the standard export process. All international orders are final, we cannot accept returns or refunds on products that were shipped internationally. 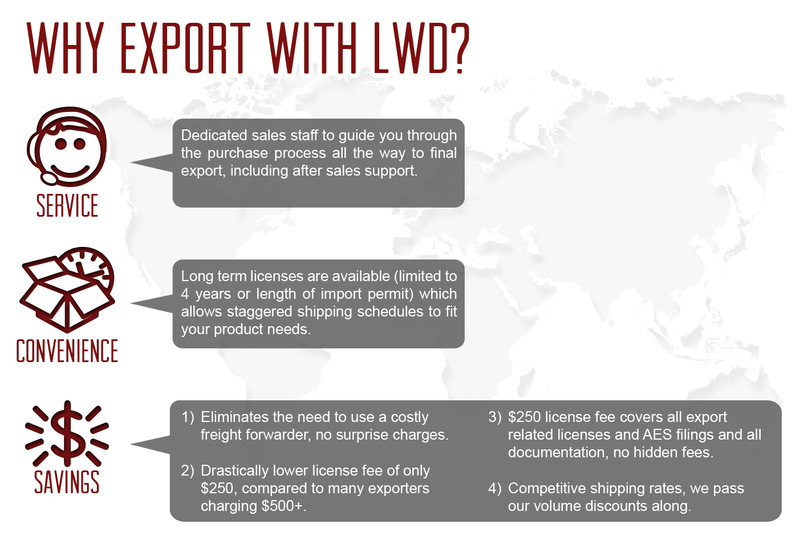 All other exports must go through the standard export process, please email AJohnson@LoneWolfDist.com to get started. Currently we are looking for international partners to establish foreign dealers. Live outside the USA and want to purchase our products for your own use? The export process is too expensive and time consuming for consumer orders but you may email AJohnson@LoneWolfDist.com with the name of a large dealer in your country that already imports products from the USA and we can contact them to see if they'd like to carry our line. You may also have your dealer contact us to get the export process started. Trijicon, Burris, and Vortex have informed us that we are unable to export their product line.